Tomorrow I turn 57. Yeah, on the Fourth of July. That might seem a little weird to someone who doesn’t have a birthday on the Fourth. Not to me. I’ve grown up with it. But you know what seems weird to me? That I’ve been alive for almost one-fourth of the entire time that the United States has existed. Run the numbers, and you’ll see. It’s very odd to realize just how young our country is in some ways. And how much things have changed just in my lifetime. I remember the early days of the Space Race. I remember the night Neil Armstrong and Buzz Aldrin walked on the Moon. And I remember growing up with casual racism of the worst sort. When homophobia was so deeply ingrained and widespread that the word itself didn’t even really exist. I remember using words like n***** and f***** without a trace of embarrassment, because they were so common. Things have changed somewhat. Not enough. But still, too much for some people. Because change can be scary. Threatening. The length of my life will take you to the time of Sputnik. The length of another such will take you back before Kitty Hawk. And just one more will land you well before the Civil War. Change can be hard. And the fight never ends. But have hope: progress can be made. Both for individuals and for countries. Perhaps, even, for the whole world. 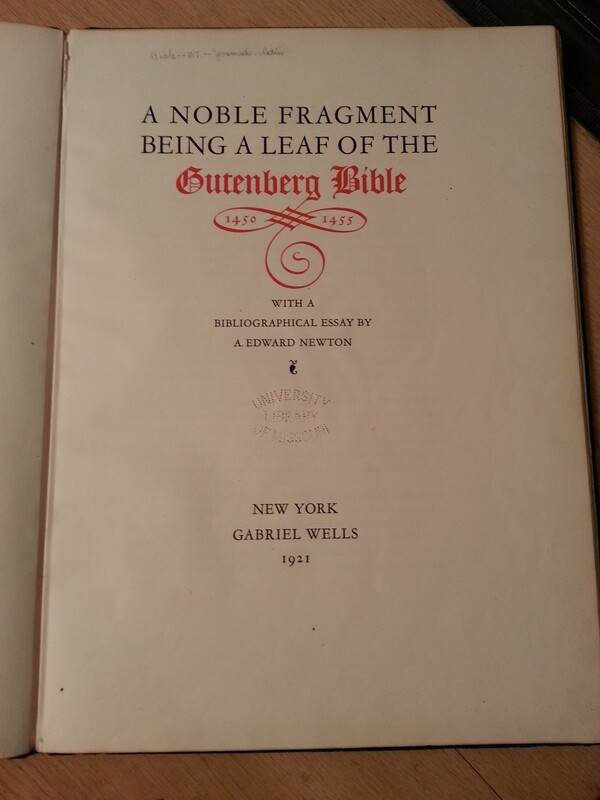 I’ve previously mentioned that I do document conservation, such as a single leaf of the Gutenberg Bible. 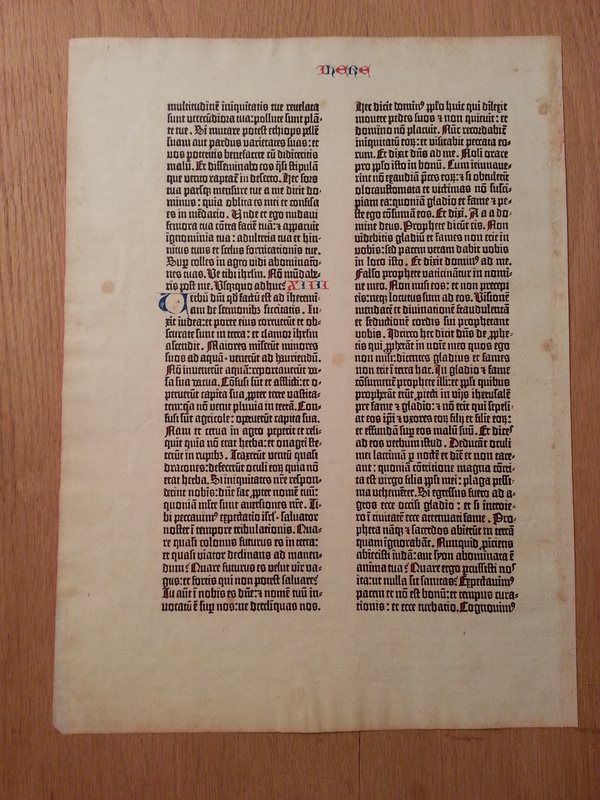 That item is paper, but one of the materials commonly used historically for important documents was parchment – an animal skin which is also called vellum. That was commonly used for grants of land or titles, affixed with one or more big wax seals. 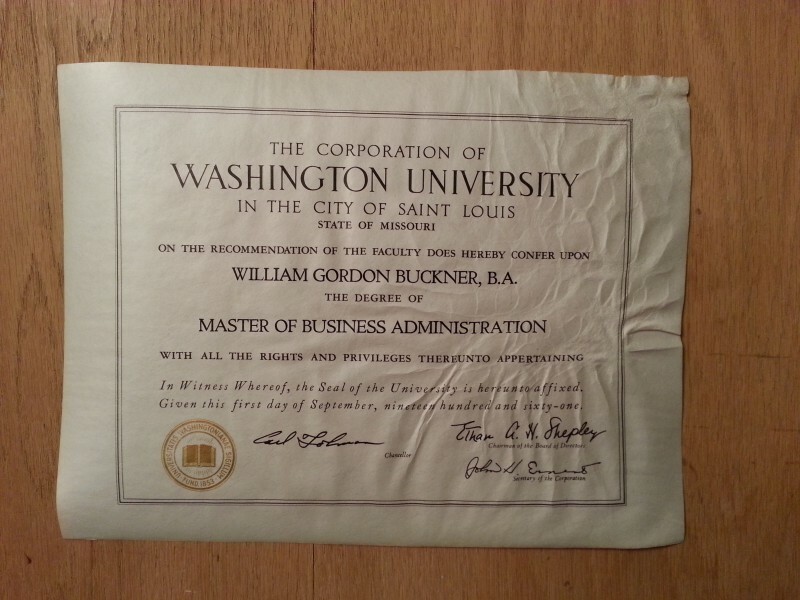 Such documents evolved over time, and the formal diplomas for college and graduate degrees you see today are their descendents — that’s why the term “sheepskin” is still used to refer to a diploma, because historically they were written/printed on actual sheepskin (or calfskin) parchment/vellum. 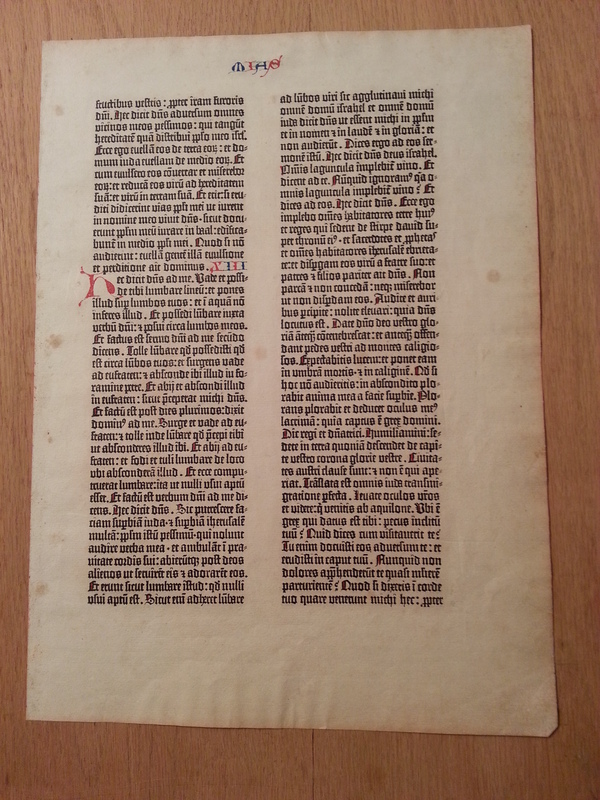 Parchment is still a wonderful material to write on, though it is expensive to produce and has one particular quality which needs to be taken into consideration: it is very hygroscopic — it reacts strongly to changes in humidity. Basically, when exposed to humidity that nice flat sheet of parchment wants to go back to being the shape of the animal it came from. 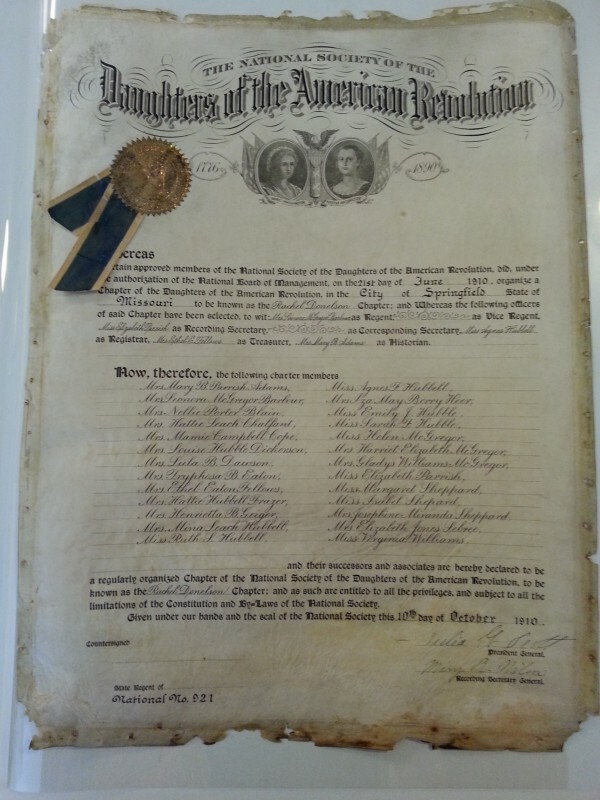 So when it is used for a document you want to frame and display, that needs to be accommodated in some way. 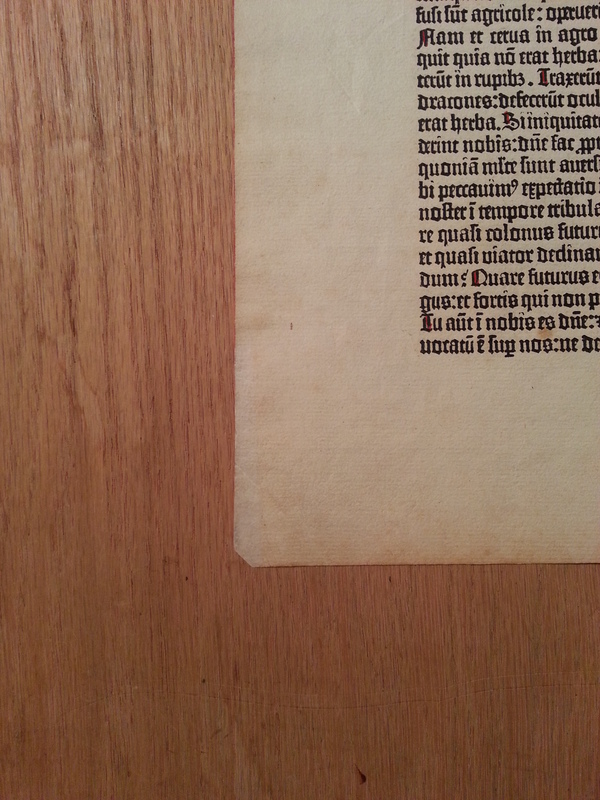 Yup, the parchment was just folded over a wood frame and nailed down. 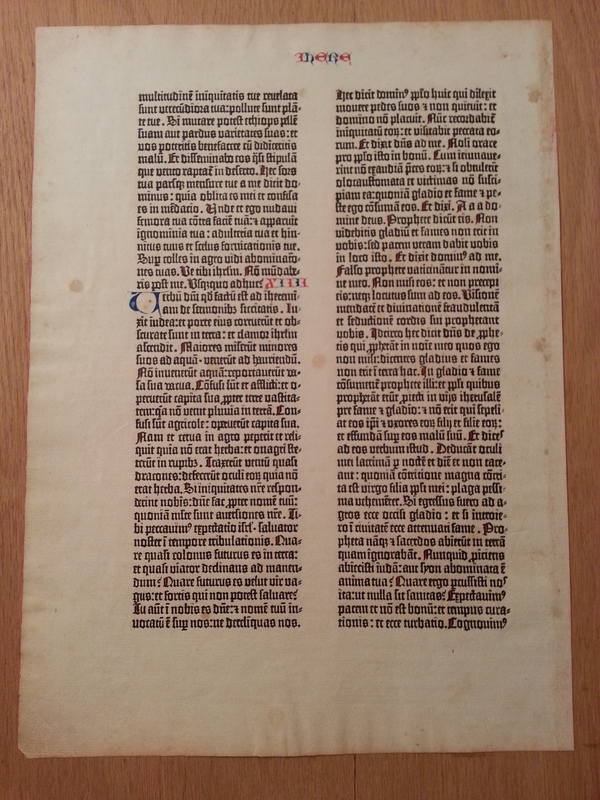 Now it is ready for proper mounting and framing, using one of several possible framing treatments which will allow the document to ‘move’ due to changes in humidity without trying to rip itself apart. 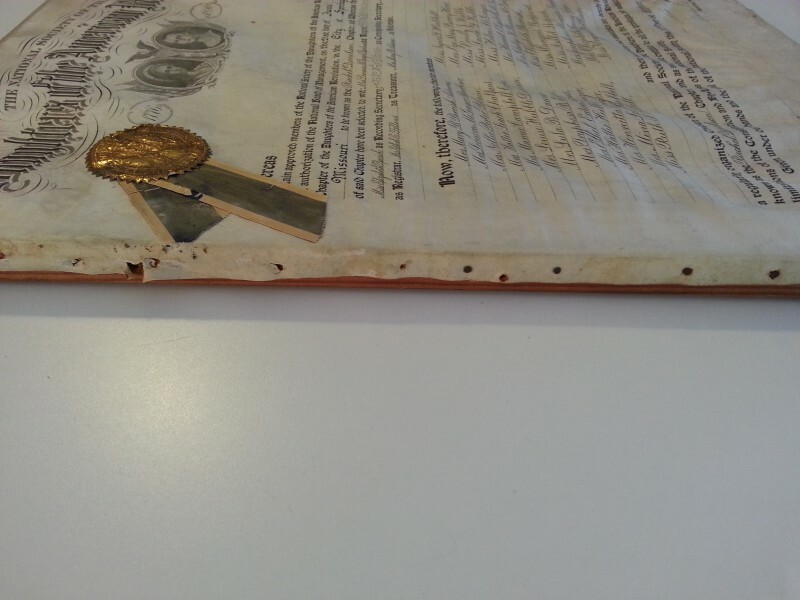 But a lot of frame shops don’t know that they need to handle parchment/vellum documents a certain way. 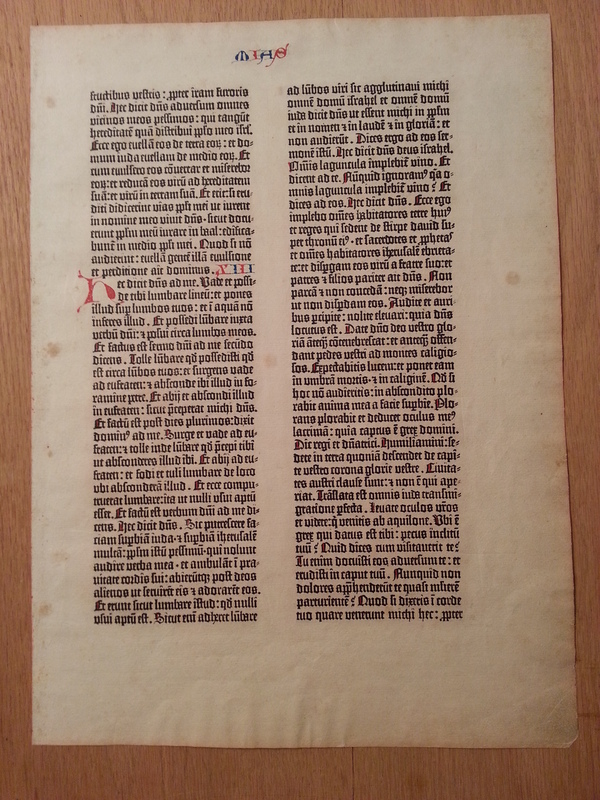 In fact, many places don’t know that there is such a thing as animal skin parchment/vellum … that’s because a century or so ago, paper manufacturers started to produce types of paper which supposedly had the same qualities for writing/printing as real parchment, and they called that paper “vegetable parchment”. 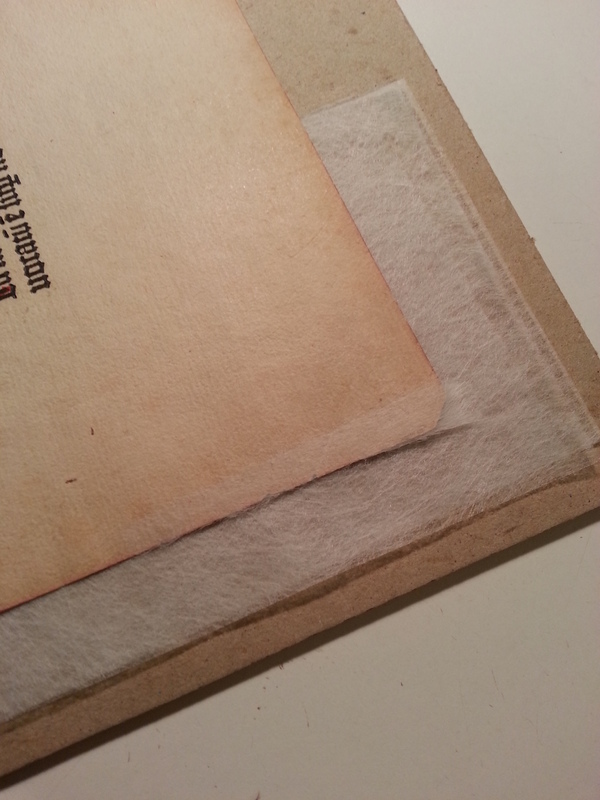 It was a marketing ploy which worked entirely too well, to the point where people became confused about the differences between the two materials, and many people forgot (or never learned) that there was such a thing as animal skin parchment/vellum. Now, when you have something printed on paper, and if that paper becomes distorted by humidity, one quick and easy way to flatten it is by ironing it. So long as it is done with a mild heat, and a brief exposure, it’s not *that* bad for most papers. After all, one of the ways modern paper is made is by running the sheets between heated rollers to dry and finish them. 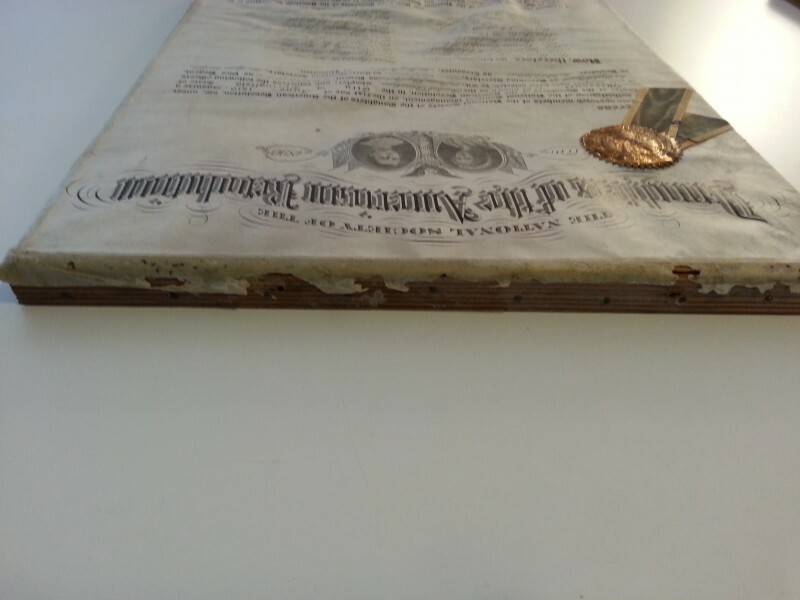 So if you take a document to a frame shop, and they find that document is a little warped/cockled, they may plug in the iron and see about flattening it. Sorry, that’s not a very good image. It’s what the client sent me via email*, asking if there was any hope for fixing it. I didn’t think to take my own ‘before’ image. I told the client that I wasn’t very hopeful, because heat damage can be permanent. But I agreed to try, and he brought it to me. By no means perfect, but pretty good for a modest amount of labor. There’s always a trade-off with such work, between what is possible to do and what is reasonable to spend doing it. The client was very pleased with the result. So was I. 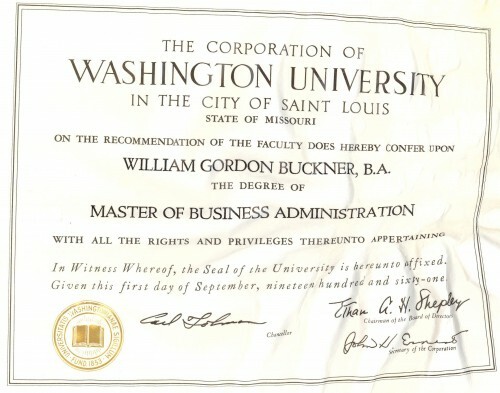 *Since the diploma is a private document for a living person, I asked the client’s permission to use and display these images. That permission was kindly granted. The actor James Gandolfini died this week, from a massive heart attack. He was 51. 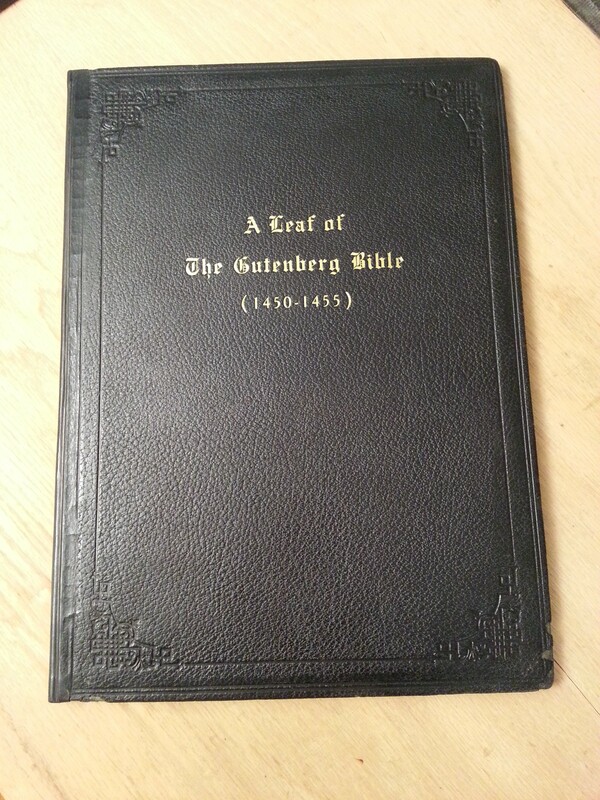 Recently I met with an institutional client about some book conservation work which needed to be done. I’ve done work with this client off and on for a number of years. He’s a smart guy, well educated, and very much an experienced professional with decades of work in his field. His responsibilities include oversight of a very large collection which includes books, documents, records, artwork, and physical plant. In working with him, I’ve always been impressed with how conscientious he is about collection management. The items entrusted to his care are important historical and artistic treasures, and he is doing his level best to make sure that they are preserved and protected for future generations. As it happens, the physical plant of the collection needs some work. This necessitates moving a large number of items into safe storage for the duration, and he is handling all of that with his usual skill. 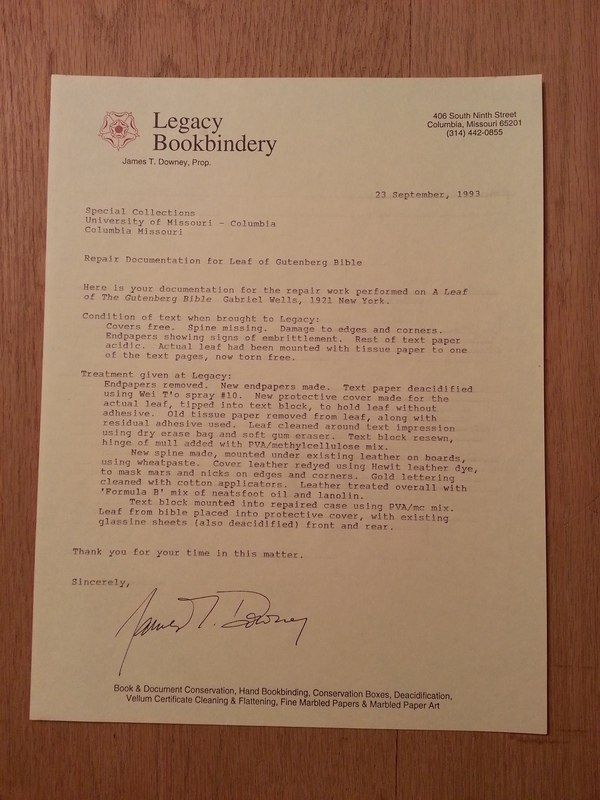 After we had discussed the specific needs of the books I had been called in to evaluate, and that business was done, we were just chatting a bit. And I noticed a large sketchbook (18″x24″) on a desk in his office. Seeing my attention thus directed, he smiled and picked up the sketchbook, opened it. Each page was a scale drawing of each of the rooms which needed to be closed, showing the exact location of each of the pieces of art, with notation as to which item it was, how it was positioned (if a wall piece, how high off the floor, etc.). Just a simple drawing, done with a ballpoint pen and a ruler. “I want to make sure we get everything back to where it belongs,” he said. I’ve heard him tell that same story. Several times. You might say that it made an impression. But I did know Paul. He was an old friend of mine, though in the last few years we’d only been in sporadic contact. I woke this morning to the news that Paul died last night from a massive heart attack. He was about my age. I turn 55 in a couple weeks. As I’ve mentioned here before, I’ve got a couple health issues which need ongoing attention and treatment, but in general I’m not doing too bad. Particularly with as hard as I’ve been on my body. But I could have a massive heart attack tonight. Or get hit by a truck tomorrow. People die, unexpectedly, every day. I don’t dwell on this, though it has been an emotional reality for me since I was 11. But on occasions like today, after just losing a friend and reading all the tributes to that person online, I am perhaps more aware of it than usual. Because whether we prepare for it or not, we’re all history. 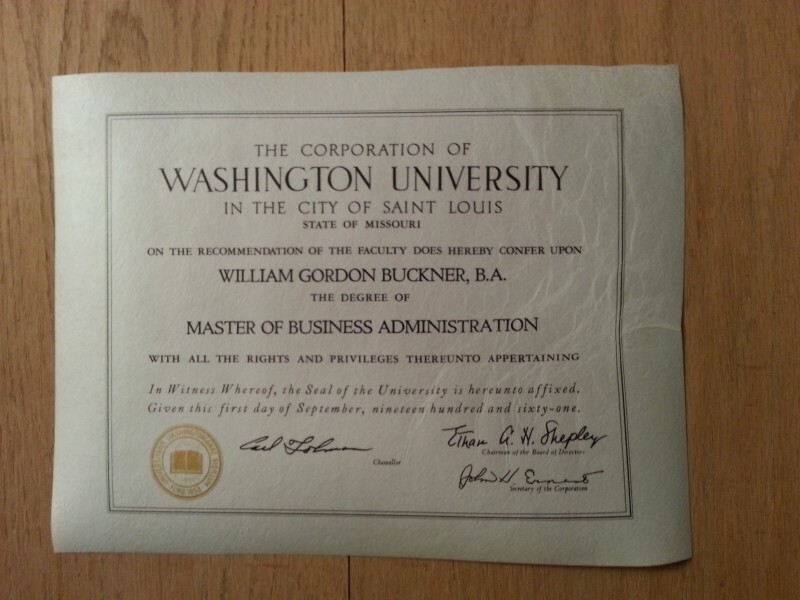 A lot of folks don’t know it, but I have an undergraduate degree in Economics (and another in German). And, while I haven’t really done anything with that degree, it does still largely inform how I see the world: in terms of economic forces at play. The whole thing is worth a read, and it’s actually quite brief. Brief, but insightful.